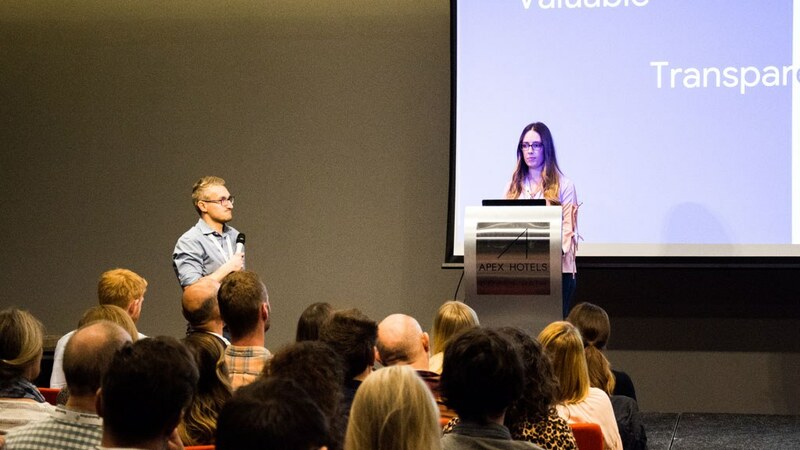 Our annual full-day conference saw us welcome over 200 delegates from across the country to explore the highly topical subject of ‘Data in Advertising’, network with an enthusiastic crowd of like-minded marketers, and enjoy the unparalleled hospitality of Bath’s Apex Hotel. 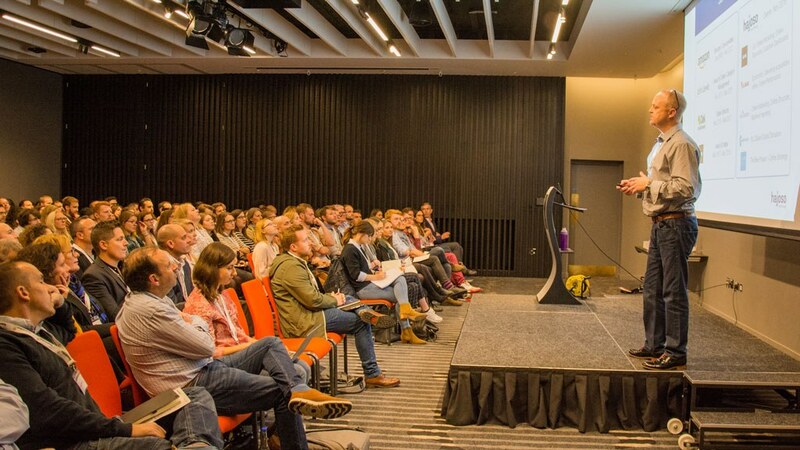 Over the course of eight presentations, the conference left no stone unturned, covering everything from the current state of digital advertising, to current practical uses of data and insight into how data might alter the digital landscape over the next 20 years. 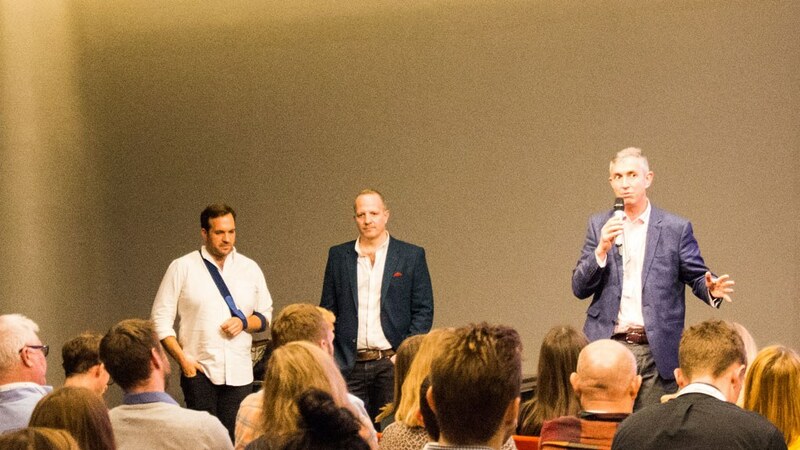 As ever, the content was curated and delivered with the aim of inspiring, challenging and encouraging those present to think about how they could be better using data to improve the efficiency and effectiveness of their own advertising activity. If you weren’t able to make it to the conference, or if you’d just like a recap, here’s our summary of the day’s presentations. Dan got the day off to a fine start with a whistle stop tour of the major trends that are affecting the world of advertising today. 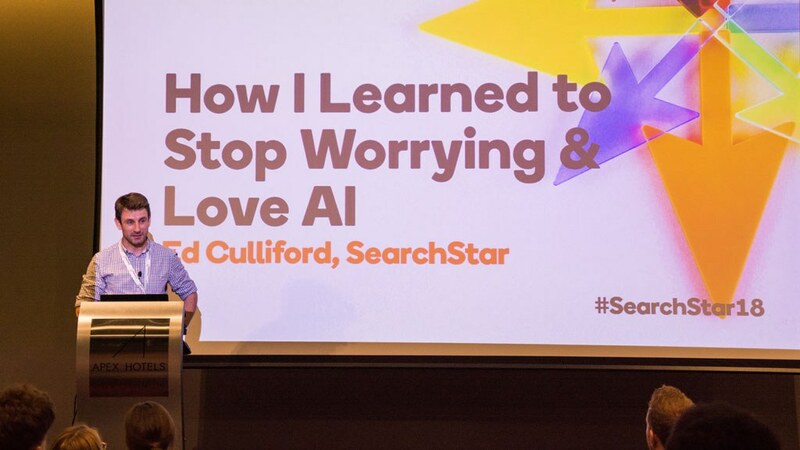 Charting SearchStar’s own progress from being a pure PPC specialist, to a digital media agency, and on to being a digital growth partner for our clients, he showed how the digital advertising landscape is shifting from reacting to customer demand towards generating and predicting it. Highlighting the the apparent lag in advertisers embracing digital advertising, Dan described how investment in this area is failing to keep up where consumers now spend most of their time. Mobile and online video are two areas in particular that stand out as relatively untapped opportunities, offering fantastic reach at a good price. Other important trends in the online world include the new battle between Google and Amazon, as the former looks to shift from being an advertising platform to an ecommerce provider, while the latter is moving from being an ecommerce platform to an advertising platform. Sparks will fly. 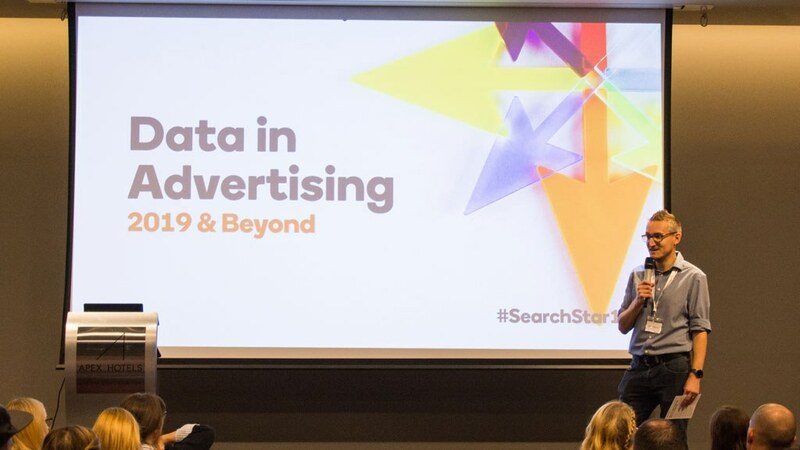 The talk concluded with a look at how increased data collection and enhanced data use is behind some of the most exciting developments in advertising. Data drives better segmentation and targeting, it powers more efficient bidding and delivers more relevant content. But most importantly, data has elevated advertising, from chasing intent to predicting it: providing fresh opportunities for product discovery. David provided all present with an excellent introduction to the data-driven, addressable and brand-safe ad platform that is Sky AdSmart. This is a platform that combines the best elements of TV advertising - scale and quality content - with the best elements of digital; targeting, measurability and relevance. Essentially, it allows advertisers to deliver fullscreen TV ads against a very select audience of their choosing. 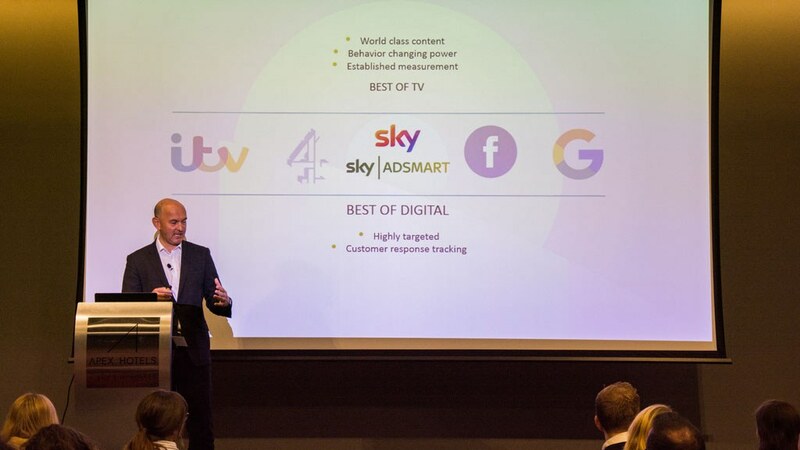 Rather than blindly targeting, say, viewers of the Great British Bake Off, Sky AdSmart advertisers can select from and combine a massive range of audiences to reach the consumers they want to talk to, almost regardless of what they happen to be watching. If your product or service is only relevant to affluent mothers in Birmingham (Yummy Brummy Mummies) for instance, Sky AdSmart can help you reach all and only this audience, with all the impact of a “proper” TV advertising campaign. The most exciting thing about AdSmart is its low barrier to entry. With campaigns starting from just £3,000, it may be that you can’t afford to miss out. Having heard from Dan about the higher level, “fluffier” trends in advertising, it was wIth characteristic pragmatism that Sian set out to provide concrete examples of how data can be used to reduce wastage, improve efficiency, and guide the strategy of digital marketing. Using the simple but effective mantra of “Data, Logic, Lever”, Sian has been able to take a diverse range of data sets, test them against well-defined rules, and take action that can truly lay claim to the description “data driven”. Whether it was using campaign data to maintain average ad position, website data to pause paid search campaigns if site performance fell below a set threshold, or external data - such as the weather forecast - to predict demand and upweight bids accordingly, Sian showed how data can be used to deliver real-world improvements in advertising performance right here, right now. It was a privilege to have Meaghan join us in order to give a view of the future from inside Google, who continue to be the number one player in digital marketing. Meaghan started by setting out Google’s principles for what it - and its users - expects from advertising now and in the future. The advertising experience must be valuable, transparent, and trustworthy. Failure in any one of these areas will essentially fail users who will simply be turned off and start to look elsewhere. Following on from this, Meaghan described how we are moving into the age of assistance, with curious, demanding and impatient “super-empowered consumers” expecting their every whim to be met online quickly, precisely and effectively. This age of assistance has ushered in a new battleground for growth, with the biggest gains in advertising efficiency to be had through the optimisation of user experience - faster mobile site speeds, frictionless payment methods, and customised landing page experiences. Moving on, we saw how richer ad formats and “Immersive Browsing”, and the ever powerful Google Display Network - now supercharged with machine learning capabilities - can help advertisers reach and engage users very early on in the path to purchase. Unfortunately, this presentation is not being made available for download. 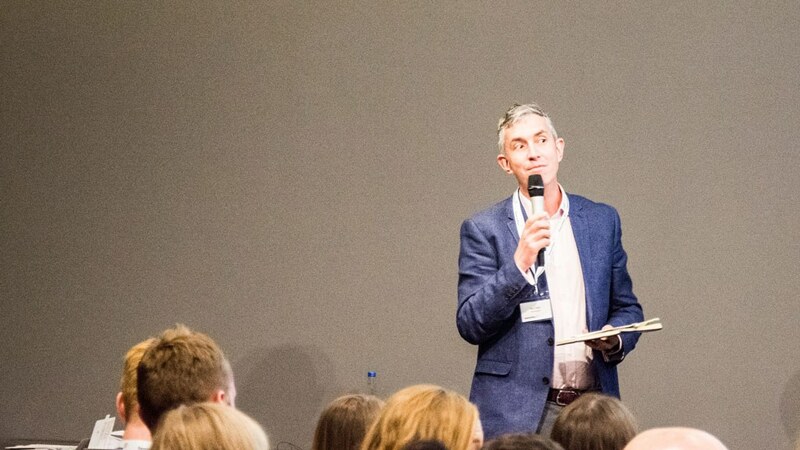 As a former director of Amazon’s consumables business, Head of Online at John Lewis, and Online Director at Oak Furniture Land, James has a near unrivalled level of insight into what successful ecommerce businesses look like. His talk covered, in fascinating detail, exactly where Amazon are winning and why, as well as how the rest of the world can reasonably react to a business that has succeeded in moving into a wildly diverse range of sectors. From being a simple book retailer, Amazon have leveraged their core principles of providing low prices, a great customer experience and an unbeatable range of products to grow into a $1 Trillion company with its fingers in everything from groceries, pharmaceuticals and consumer goods to TV, advertising and cloud computing services. While it is their best known strengths - Amazon Prime, Marketplace and Logistics - that have made the company what it is today, growth in the future will come from Amazon Web Services and Advertising. These are two relatively novel services that they are providing but which have already made a major splash in their respective markets. In the next five years, Amazon’s advertising revenues will have grown to the same level that Facebook’s are at now. James suggested that there were no markets into which Amazon might reasonably move. Other retailers and service providers can best compete against such might through a focus on a specific niche or consumer need, on providing an unbeatable customer experience (including careful product curation) or delivering a highly personalised service. Ryan’s talk was aimed at taking the fear-factor out of personalisation. He contended that what’s happening in the world of digital under the banner of “personalisation” is actually much simpler than might be expected, and that marketers and business owners shouldn’t be put off by the perceived difficulty of delivering personalised experiences to their users. 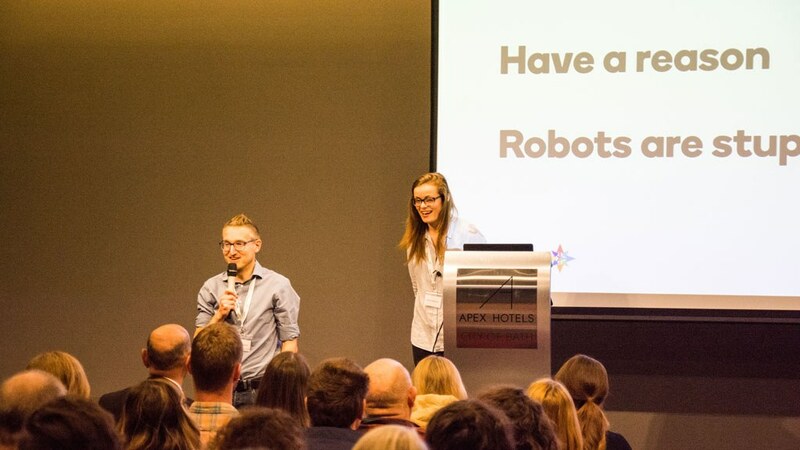 Personalisation is a word that gets used quite loosely, and Ryan showed how, by and large, it doesn’t actually relate to a 1-2-1 degree of personal web experience but much more commonly refers to the broader - and much more achievable - concept of segmentation. Here, a customised web experience can be delivered to a well-defined and segmented audience, delivering much of the benefits of “true” 1-2-1 personalisation without many of the associated difficulties and privacy pitfalls. Using data to segment and define audiences, customised ads, landing pages, product recommendations and behavioural messages can be served to very specific sets of users, creating unique experiences for individual users in order to help improve conversion rate, average order value and lifetime value. But it needn’t be complicated! Glyn played bad cop to his colleague, Tom Smith’s, good cop in an eye-opening double-act. Glyn first set the scene of massive wastage of media spend in digital advertising, by pointing to research that suggested that 89% of digital advertising is not remembered - it has no impact at all. This equates to around £9.3 billion annually. Much as we might like to think digital media is terribly clever and accountable, Glyn’s data looked to suggest otherwise. Fortunately, he had a remedy. In the battle for attention, ad creative must be relevant in order to be remembered. Advertising campaigns must have sufficient reach. Simply hitting the same set of highly engaged consumers again and again isn’t a growth strategy - we need to achieve a balance in targeting that takes into account the need for precise audience definitions alongside the fact that most of a brand’s potential customers aren’t easily identifiable. And we need to be better able to understand and measure how one channel affects another. Introducing mporium’s IMPACT tool, Tom showed how we can get hold of such a remedy. The tool takes advantage of context to maximise the impact of ads across channels, “responding to the moment” in order to create relevance while delivering reach. For instance, by dynamically updating paid search ad copy in response to major (and not so major) televised events, the tool seeks to increase relevance, drive up CTR, and create competitive advantage. Ed finished the day with a look at how the exponential growth in data, coupled with ever increasing sophistication in Artificial Intelligence, will create a massive churn in the employment market over the next 10-15 years. Artificial Intelligence (AI) is predicted to displace a vast number of jobs across all sectors by 2030, but it it also anticipated that many new jobs will be created in their stead. The “traditional” roles of the digital marketing agency - media buying, ad creation and targeting - will become fully automated, meaning that agencies will have to focus on higher level tasks such as strategy, understanding, creativity and innovation in order to thrive. What will be required most in a landscape that is constantly being reshaped by AI will be flexibility and adaptability, bolstered by excellent problem-solving and communication skills. For those who are able to adapt, the future is rosy; automation will free us from tedious, repetitive tasks, enabling us to focus on truly human jobs. Thanks to all our speakers and to everyone who came along to the conference to ensure that it was another huge success. We had a ball - roll on 2019!